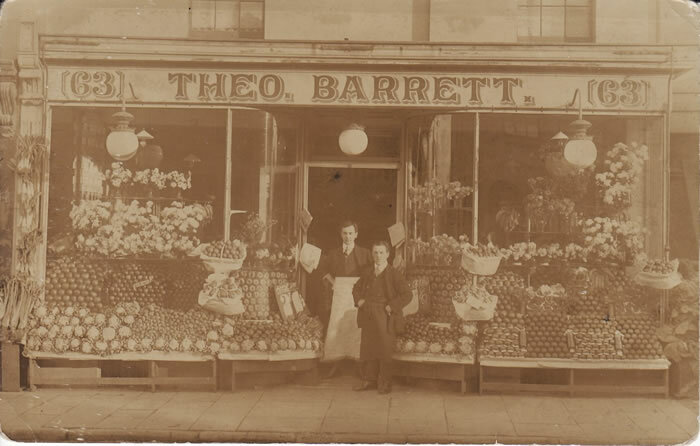 This was one of two greengrocer’s shops belonging to the Barrett family in Bath Road. They also had a shop in Winchcombe Street and later one in the High Street. Albert’s wife Carolina died about 1902 and about the same time A J Barrett became A J Barrett and Sons. All three of Albert’s sons were in the fruit trade but it seems that his middle son, Theo, ran this one. The First World War saw many changes everywhere and the shop again became known as a fruiterer, dropping the “English and Foreign” from the title. It appears that Theo was absent for a time during this period, probably serving his country, and Albert took over the running of this shop. Their businesses continued to flourish selling much of their own produce grown at their market gardens in Tewkesbury Road and Leckhampton. Albert’s two other sons; Francis and Herbert carried on running the other shops especially when ill health forced Albert to take a much less active part. He died in February 1924. For a short time the Barretts shop was known as the Cash Fruiterers but by 1926 it had again become just greengrocers! By the start of the Second World War Theo was again running the shop and his name was displayed over the window. Notice the outside lamps which enabled trading until well into the evening. Notice too the creative displays of fruit and vegetables to entice the shopper into the shop. 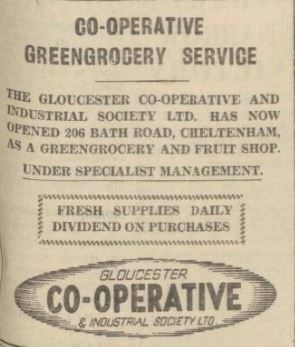 Theo continued business here until 1948, when the shop was bought by the Gloucestershire Co-operative and Industrial Society for its greengrocery department. The Co-op continued here until the mid-1960s when, after at least 80 years, the premises ceased to be connected with the retail fruit and veg trade. For a while this became the home of Gloucestershire Motor Cycles Ltd whose owner was Mr Jack Browning, the brother of the watchmaker Don Browning. It changed again for a short time to become Peggy Morris Ladies Outfitters. 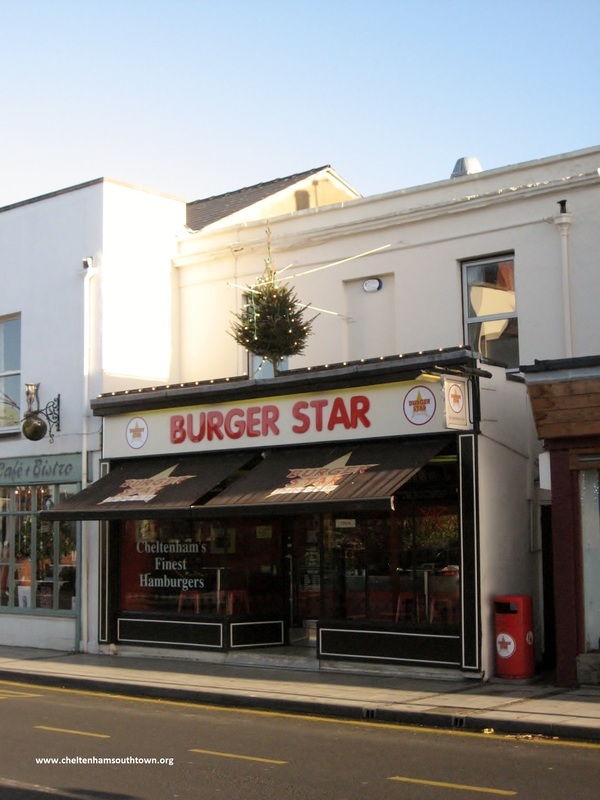 By 1970 the Bath Road had a new take-away with the arrival of the Fryer Tuck Inn which traded from here until it became the first outlet of a chain of burger bars under the name of Burger Star.